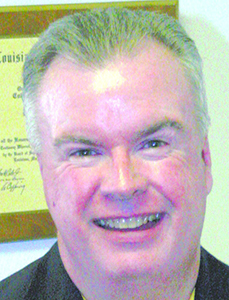 Specht Newspapers, Inc. (SNI) has named Randy Brown as the new publisher of the Bossier Press-Tribune (BPT). Mr. Brown was handpicked by SNI President and former BPT publisher David Specht. He brings a wealth of experience as BPT Advertising Manger and working for SNI for the past 13 years. The move comes after the BPT moved to a once-a-week publication in June. Mr. Specht is stepping aside to focus wholly on SNI and develop new investments within the company. “I have worked very closely with Randy Brown for many years and I know that no one has a greater passion for the Bossier Press-Tribune than he does and I know he will guide it into greater things,” said Mr. Specht. Mr. Brown’s new goals for the BPT under his guidance include continuing to serve its current subscribers as well as gaining a new audience through the recent emphasis on daily online coverage. “I think our mission statement says it best: ‘Our goal is to be a locally minded, unified team, serving God and our community to the utmost of our abilities and resources. Utilizing an atmosphere that encourages fun, progressiveness, and focussed effort as we aspire to a level of profitability that will improve our team members, their families and our community at large,’” Mr. Brown added. He is adamant that readers will continue to see the same type of focus on the Bossier community the BPT is known for. “With our recent move to a weekly newspaper publication, we are continuously working to provide expanded in-depth community coverage of Bossier Parish, our schools, youth and high school sports, our local governing bodies and legislative issues, etc. Furthermore, we will also grow our digital footprint by focussing on our website, social media presence and taking advantage of the opportunities presented in other electronic media areas as well. We want the Bossier community to know that we are here for you and that we are your hometown newspaper!” said Mr. Brown. The Bossier Press-Tribune and it’s preceding newspapers have enjoyed a great and remarkable history as Bossier Parish’s newspaper over the last 157 years. SNI purchased the Bossier Press in 1997 and acquired the Bossier Banner Progress and Bossier Post soon thereafter, merging the publications to form the Bossier Press-Tribune.